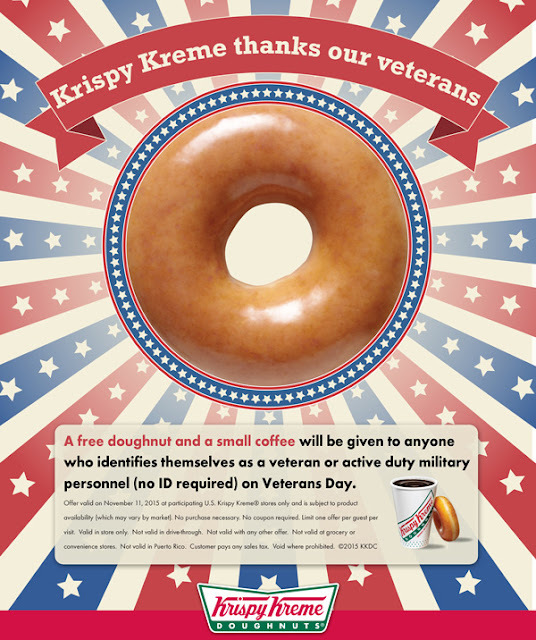 *EXPIRED* Krispy Kreme - FREE Doughnut and Small Coffee for Veteran & Active Military! A FREE Doughnut and Small Coffee will be given to any Veteran & Active Military on Veterans Day, 11/11/2015 at participating Krispy Kreme. Thank you for all you have done and do. *Offer valid on November 11, 2015 at participating U.S. Krispy Kreme stores only and is subject to product availability (which may vary by market). No purchase necessary. No coupons required. 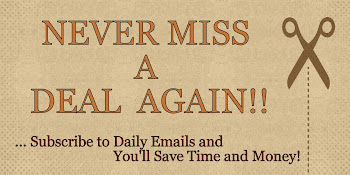 Limit one offer per guest per visit. Valid in store only. Not valid in drive-through. Not valid with any other offer. Not valid at grocery or convenience stores. Not valid in Puerto Rico. Customer pays any sales tax. Void where prohibited. See store for complete details.